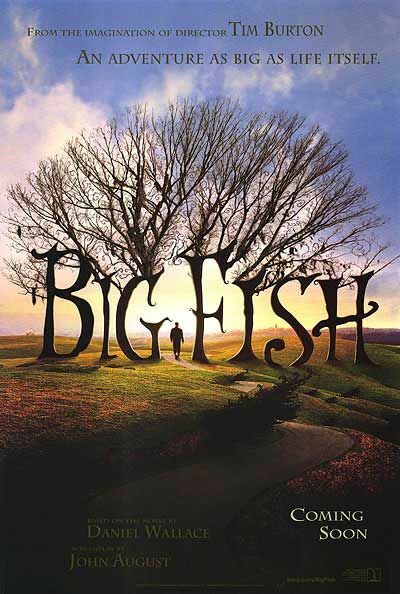 Story: In the heartwarming film "Big Fish," director Tim Burton ("Batman," "Edward Scissorhands") brings his inimitable imagination on a journey that delves deep into a fabled relationship between a father and his son. Edward Bloom (Finney) has always been a teller of tall-tales about his oversized life as a young man (McGregor), when his wanderlust led him on an unlikely journey from a small-town in Alabama, around the world, and back again. His mythic exploits dart from the delightful to the delirious as he weaves epic tales about giants, blizzards, a witch and conjoined-twin lounge singers. With his larger-than-life stories, Bloom charms almost everyone he encounters except for his estranged son Will (Crudup). When his mother Sandra (Lange) tries to reunite them, Will must learn how to separate fact from fiction as he comes to terms with his father's great feats and great failings.